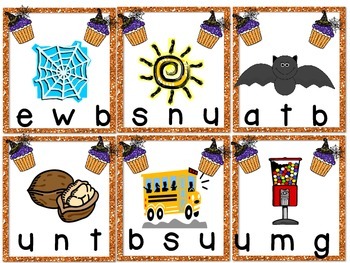 This a great activity for kiddos working on their CVC words, along with giving the letters for those kiddos that are still struggling with letter sounds, yet challenging enough for others. 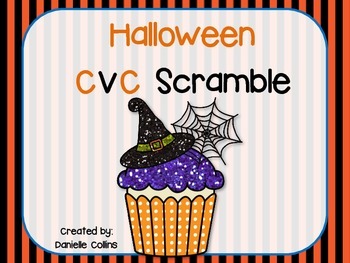 It is part of my larger CVC Halloween bundle and Math & CVC bundle. Print. Laminate and cut out the cards. Put the cards in a pile for students to grab one at a time. Copy enough recording sheets for your students. Pick up a card. Use the letters to make the CVC word that matches the picture. 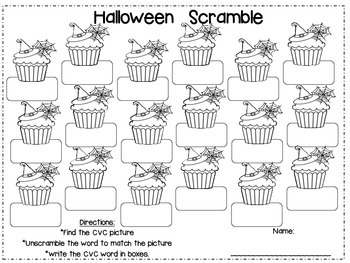 Write in the words you made in the cupcakes on the recording sheet.